The Total Gym 1400 is designed to help you tone, sculpt and strengthen your entire body without requiring the bulk and expense of a complete home gym. 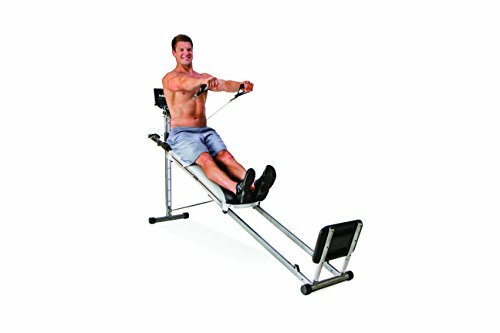 The Total Gym 1400's ergonomic glide board has handles that allow you to work your upper body, lower body and abdominal muscles. Meanwhile, included leg and wing attachments allow you to focus on your legs and arms. The compact, efficient trainer can replace an entire gym of equipment, yet folds away for easy storage in a closet. The Total Gym 1400 offers more than 60 different exercises that allow you to lift an adjustable percentage of your own body weight against gravity. The glide board based exercises are smooth and fluid. As your strength and conditioning improves, you can boost your resistance percentage easily increasing the incline and body weight lifted in each exercise.